As you all know Ethiopia is facing a tough battle against nature. The El Nino disruptive weather has hit the country hard. Millions of Ethiopians will need extra support this year if they are to survive. Drought is not new to Ethiopia. What will be new is how the EPRDF government will react to such huge disaster. Many say famine is a man made phenomenon. It is true that Haile selassie’s and the Derge regimes were accused for the cause of the last two horrendous famines that killed millions of Ethiopians. 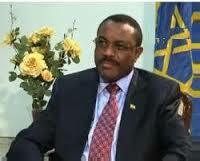 Will the EPRDF government be the first government that will overcome the effects of drought causing a famine? We know Ethiopia has had drought in the past during the EPRDF era and by all account the government was able to wither away the effect but this time the challenge is huge and no one knows for sure if El Nino will persist until next year. What is your take on how the EPRDF government is responding to the drought? Did EPRDF fail to prepare enough for drought years thus why it has to ask donors to help or has it prepared enough thus why people are not dying and help is arriving at the doorsteps of the farmers? The PM Minister is on record that the issue with good governance is acute enough his government is dead serious to tackle it head-on! Do you think this time the government is serious enough that it will make an effort to address some of the prevailing good governance issues? Do you think Ethiopia is ready or capable to address good governance issues or you are of the opinion good governance issues will linger on since the root cause is economic issues? Some say without high paid government officials there will always be someone in the office with power that will succumb to bribe and exacerbate bad governance. What are the issues the government can solve easily to make a head way to resolve good governance issues? Have Your Say and share your thoughts. Avoid hearsay and make sure your voice is heard!